What happens when a rather naïve and unworldly woman in Iowa City – whose major excitement in life is her book club – opens her home to a stranger from the Bronx – a very savvy and streetwise woman who is most decidedly experienced in the ways of the world? Sharon, a lonely soul, whose husband “retired” from their marriage, and who has a son in New York, from whom she rarely hears, is about to find out when Robyn arrives on her doorstep. This is the background to The Roommate, Jen Silverman’s discerning study of an unlikely relationship between two middle-aged women who couldn’t be more different from each other. 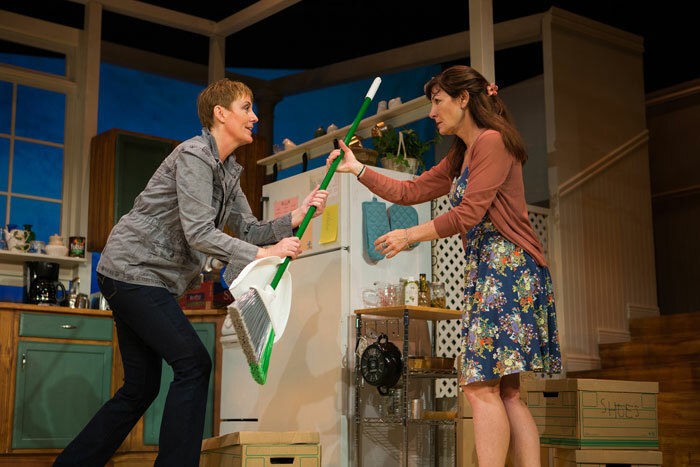 It’s the latest production by San Francisco Playhouse directors Bill English and Susi Damilano. Sharon is absolutely flabbergasted as details of Robyn’s background start to emerge. The Bronx?! The horror on Sharon’s face conveys the thoughts flashing through her mind – visions of thieves and undesirables, thugs and criminals – and she puts her foot firmly in her mouth when she discovers that Robyn is homosexual, and tries to bluster her way out of her tactless response. Robyn, of course, is vegan, she smokes – shock, horror – and when the “drugs” appear – “medicinal herbs” is Robyn’s description of the newly arrived plant on the window-sill – Sharon is almost beside herself. 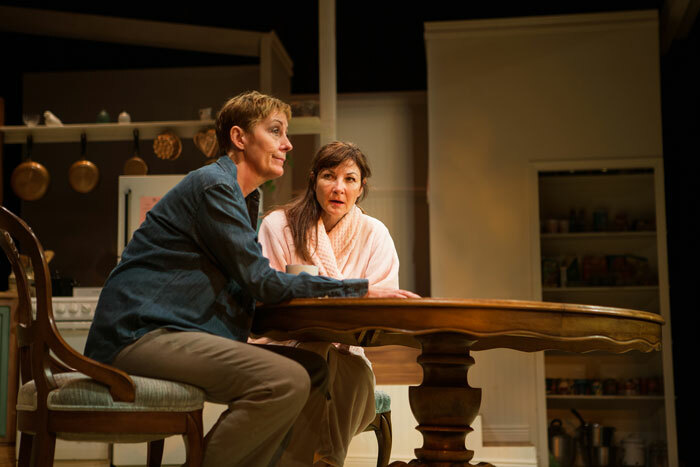 Gradually, though, Sharon starts to overcome her initial shock, and as time passes, the two women get to know each other better, and a friendship of sorts develops. Sharon is talkative and over-effusive. Robyn initially responds to her with an air of almost resigned tolerance, but comes to regard her with a degree of what borders on tenderness. Sharon is also inquisitive, and intrigued by Robyn’s stack of cardboard boxes on the porch. One of them, she discovers, contains Robyn’s collection of what she calls her “Voodoo dolls” – and it’s not long before aspects of Robyn’s murky past start emerging, even though these are initially lost on Sharon. Nevertheless, in her admiration for Robyn, Sharon slowly succumbs to the influence which her roommate so obviously wields over her. 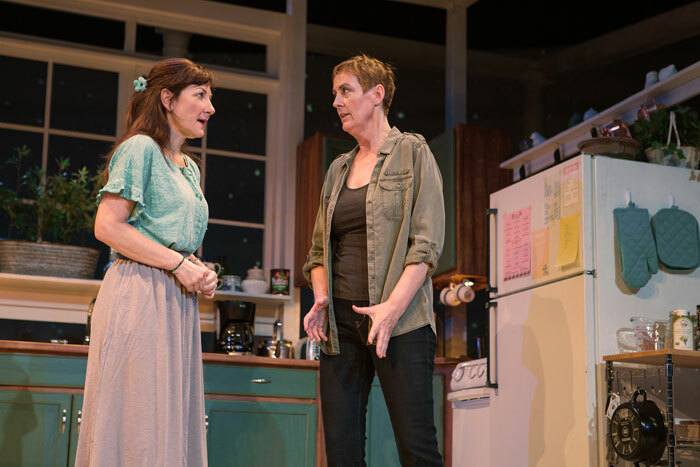 Susi Damilano (Sharon) and Julia Brothers (Robyn) are, quite simply, brilliant under Becca Wolff’s highly efficient direction of this dark, yet engaging, comedy. 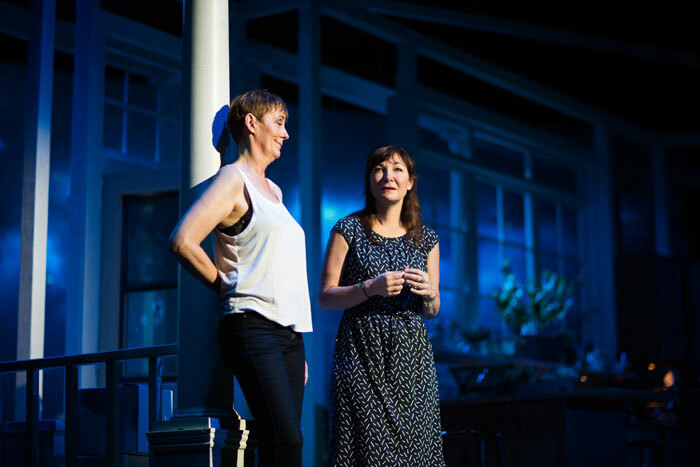 Totally immersed in their respective characters, they hold the audience in a state of almost hesitant anticipation as the plot unfolds, against Nina Ball’s impressive set. San Francisco Opera’s summer season opens at the War Memorial Opera House this week – a season featuring Verdi’s Rigoletto, Mozart’s Don Giovanni and Puccini’s La Bohème. Coinciding with celebrations marking the 50th anniversary of San Francisco’s Summer of Love, each of these works has a different take on the subject of love which – as we know – can manifest itself in many different ways. The opening production is director Rob Kearley’s revival of Rigoletto, the tragic tale of a father’s attempts to save his beloved daughter from a disastrous relationship, a daughter who sacrifices everything by succumbing to the allure of a fascinating stranger, and a lecherous duke who’ll stop at nothing to get what he wants. Rigoletto has a special place in the history of San Francisco Opera. It was performed during the Company’s inaugural season in 1923, conducted by founder Gaetano Merola, with baritone Guiseppe De Lluca as Rigoletto, tenor Beniamino Gigli as the Duke and soprano Queena Mario as Gilda. 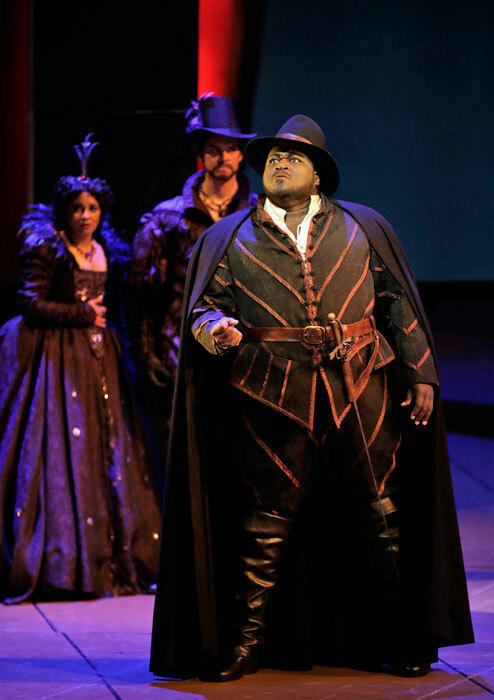 Hawaiian baritone Quinn Kelsey – a graduate of San Francisco’s Merola Opera Program – sings the title role, Georgian soprano Nino Machaidze – in her Company debut – is his daughter Gilda, and New Zealand tenor Pene Pati – a current San Francisco Opera Adler Fellow – makes his role debut as the Duke of Mantua. Rigoletto, one of the world’s most popular operas, has a libretto by Francesco Maria Piave, and was based on Victor Hugo’s play Le roi s’amuse. It was first performed at La Fenice in Venice on March 11, 1851, with the title La maledizione (The Curse). It was so named because of a curse placed on both the Duke of Mantua and Rigoletto – his hunch-backed jester – by a nobleman, Monterone, in wrathful revenge after his daughter had been seduced by the Duke who was aided and abetted by Rigoletto. 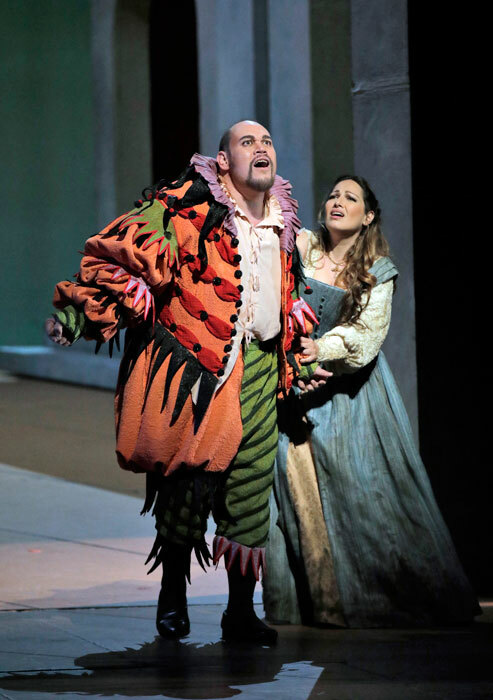 Rigoletto, though, has his own daughter, Gilda, whom he tries to keep hidden from the court, but the Duke and Gilda eventually meet – he vows to have his way with her, and she – being completely smitten with him – puts up no objections. Rigoletto ultimately finds out about this relationship, and – haunted by Monterone’s curse – plots to have the Duke murdered by Sparafucile, a local innkeeper who offers to do the dirty deed for him. 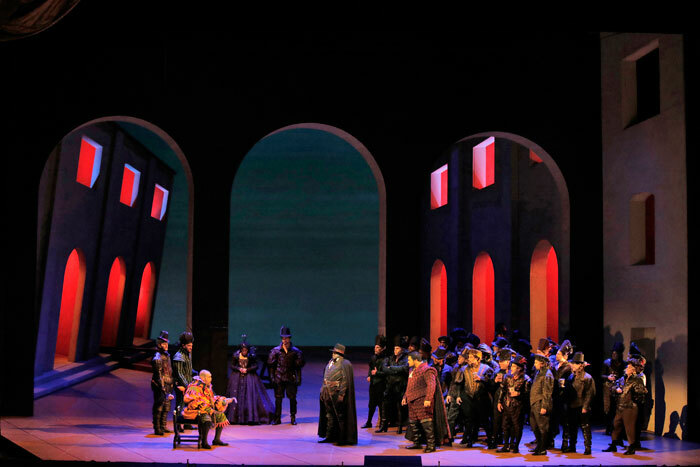 Unfortunately for Rigoletto – who has spent his life manipulating others and taking pleasure from their discomfort – his plans go dreadfully awry, and his beloved daughter is killed instead, the result of his own scheming – or perhaps the partial fulfillment of Monterone’s curse. 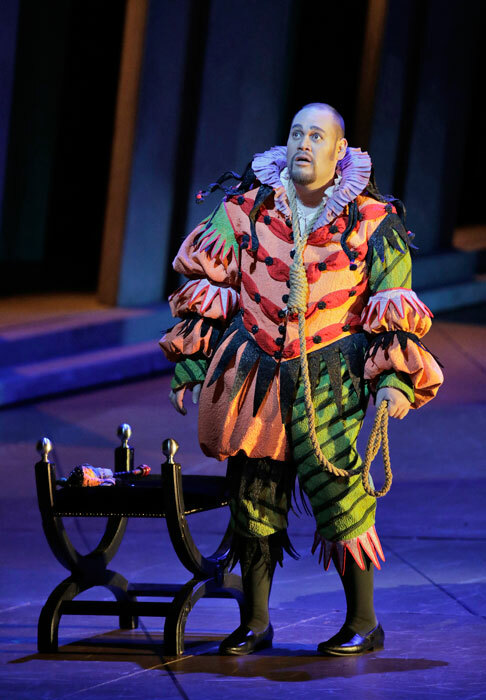 Quinn Kelsey’s 2014 performance as Rigoletto for English National Opera, drew the following comment from The Guardian/Observer: “While his music explodes with all too human anguish, his brutal nature, superbly portrayed by the Hawaiian baritone Quinn Kelsey, is repellent. His boorish, tortured performance, together with a voice rich and secure from bottom to high top, is incomparable.” Earlier this season, Mr Kelsey appeared in the Lyric Opera of Chicago production of Donizetti’s Lucia di Lammermoor, Verdi’s Il Trovatore at The Royal Opera House, Covent Garden, and in a new production of Rigoletto for Oper Frankfurt. In the first of two debuts scheduled for this August, he appears in concert productions of Aïda with Chorégies d’Orange, and Thaïs with the Melbourne Symphony conducted by Sir Andrew Davis. Fall brings another appearance in Rigoletto with Lyric Opera Chicago, and Quinn Kelsey ends 2017 with a debut performance as Peter in Humperdinck’s Hansel and Gretel for the Metropolitan Opera under Sir Donald Runnicles. Tbilisi-born soprano Nino Machaidze – described by Opera News as “an artist with confidence, individuality and a big musical temperament to back up a glamorous profile” – is a graduate of the Accademia del Teatro alla Scala in Milan. Her international career was launched with appearances at La Scala as Marie in Donizetti’s La Fille du Regiment in 2007, followed by her debut in the same role at the Teatro dell’Opera di Roma. The summer of 2008 saw Ms Machaidze’s debut at the Salzburg Festival as Juliette, opposite Rolando Villazon, in a new production of Romeo et Juliette, and subsequent international debuts include appearances at major opera houses of the world, such as the Metropolitan Opera, Bayerische Staatsoper in Munich, Berliner Staatsoper, Gran Teatro del Liceu in Barcelona, Theatre Royale de la Monnaie in Brussels, Opera National de Paris, The Royal Opera House, Covent Garden, and Los Angeles Opera. 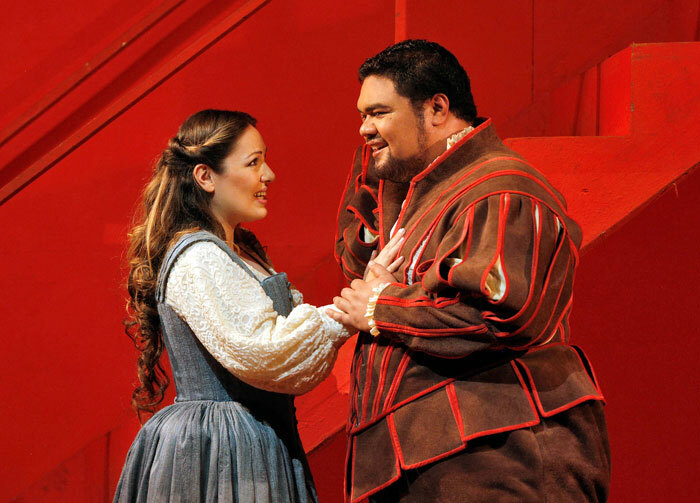 Samoan-born tenor Pene Pati has been described by the San Francisco Chronicle as “A New Zealander who boasts a lithe and radiant tone, deep theatrical instincts and plenty of charisma”. He has a number of impressive awards to his name – the Joan Sutherland and Richard Bonygne ‘Bel Canto’ Award in 2012, first place at the Montserrat Caballé International Aria Competition in 2014, second place and the Audience Prize at Placido Domingo’s Operalia in 2015, and Second Prize in that year’s Neue Stimmen Competition as well. 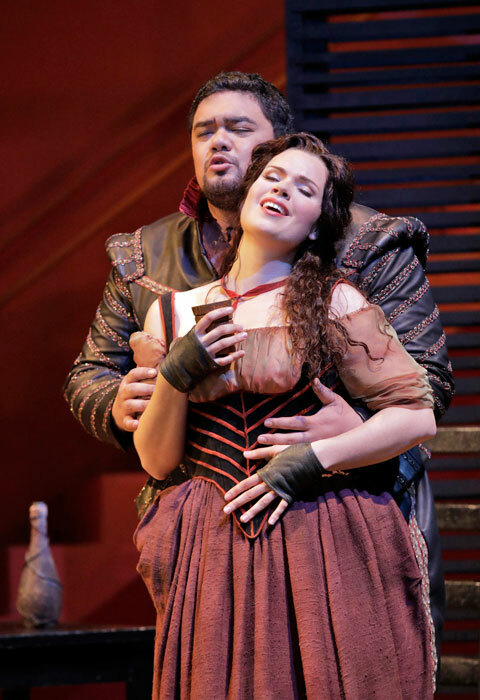 For Pene Pati, this particular production of Rigoletto will be something of a family affair. In what San Francisco Opera describes as “a remarkable coincidence of casting” his wife, second year Adler Fellow soprano Amina Edris, sings the role of Countess Ceprano, and his brother, first year Adler Fellow tenor Amitai Pati sings Matteo Borsa. For director Rob Kearley – who won acclaim for his staging of Weinberg’s The Passenger at Israeli Opera, Lyric Opera of Chicago and Houston Grand Opera – Rigoletto marks his first engagement with San Francisco Opera. 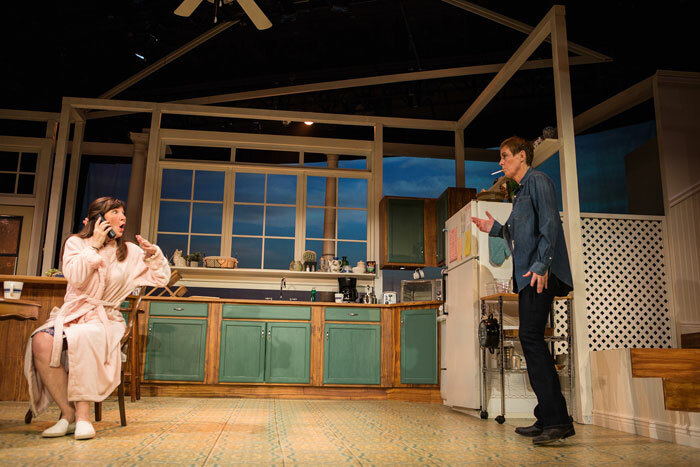 Sets are by Michael Yeargan, costumes by Constance Hoffman, and lighting by Gary Marder. 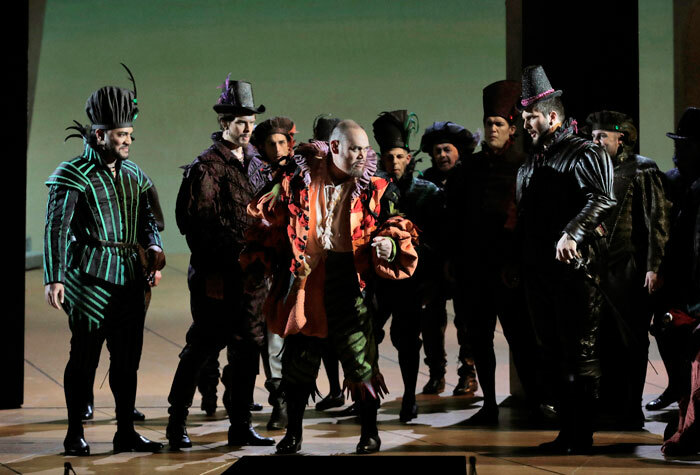 Music Director Nicola Luisotti directs the San Francisco Opera Orchestra and Chorus (Chorus Director Ian Robertson) in all performances of Rigoletto, with the exception of the final one on July 1, which will be led by Resident Conductor Jordi Bernàcer. Rigoletto, sung in Italian with English supertitles, will run for eight performances, from May 31 through July 1, at the War Memorial Opera House. For tickets and further information, visit the San Francisco Opera website. On Sunday evening, June 4, Classical KDFC will broadcast San Francisco Opera’s production of Leoš Janáček’s Věc Makropulos (The Makropulos Case), recorded at the War Memorial Opera House in October last year, and starring Nadja Michael as Emilia Marty. For more details on this broadcast, visit the KDFC website. The stars are gathering at SFJAZZ this week as three of today’s greatest Latin Jazz pianists pay tribute to the pianist and composer known as the ‘Gershwin of Cuba’ – Ernesto Lecuona. Chucho Valdés, Gonzalo Rubalcaba and Michel Camilo – who all appeared in a recent documentary entitled Playing Lecuona – will appear at SFJAZZ to honor an artist described by AllMusic as “Arguably the most important Latin musical figure of the early 20th century”. Lecuona was a prolific composer who wrote over 600 songs – numbers such as Malagueña, Andalucia (popularly known as The Breeze and I), Siempre en Mi Corazon (You are Always in my Heart), La Comparsa and Noche Azul – but he also composed operettas, ballets and an opera. Taught to play the piano by a sister, Ernesto Lecuona was initially known as a concert pianist, having furthered his studies at the National Conservatory in Havana, and then in Paris with none other than Maurice Ravel. After copyrighting Malagueña and Andalucia in the late 1920s, he formed a group known as the Lecuona Cuban Boys, which became highly successful when it toured America during the 1930s. He composed the scores for four MGM films in the early 30s, was nominated for an Academy Award for the 1942 film Always in My Heart, and in 1943 became the cultural attaché to the Cuban embassy in Washington, DC. After the War, he returned to his farm in Cuba, but left in 1960 following Castro’s revolution, and never performed publicly again. He died while on holiday in the Canary Islands in 1963. 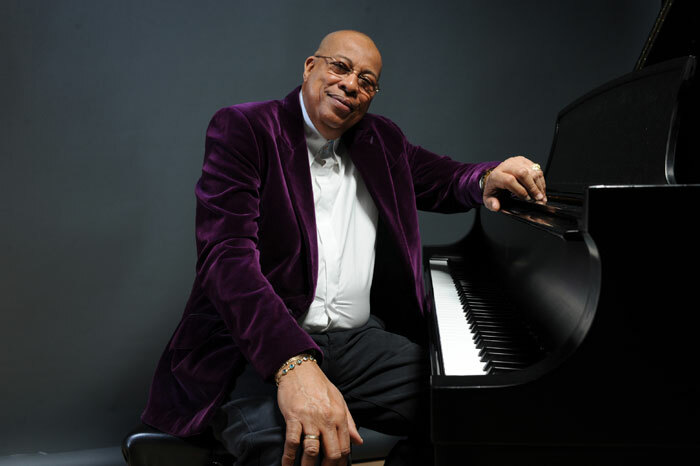 Cuban pianist, composer and arranger Chucho Valdés – a highly influential figure in modern Afro-Cuban jazz – is known for his distinctive style which incorporates elements of Afro-Cuban, jazz, classical and rock music. “One of the world’s great virtuosic pianists” – according to The New York Times – he’s won six GRAMMY® and three Latin GRAMMY® Awards, of which the most recent was Tribute to Irakere: Live at Marciac, a celebration of the 40-year success of the band of which he was co-founder – with Paquito D’Rivera and Arturo Sandoval – and which he directed. 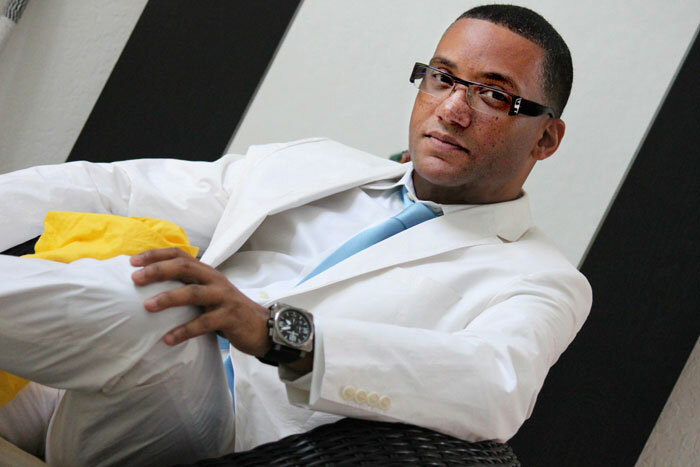 Gonzalo Rubalcaba – described by The New York Times as “one of the greatest musicians in jazz …. a pianist of almost supernatural abilities” – was born into a musical family in Havana, and initially trained as a classical pianist, obtaining a degree in music and composition from Havana’s Institute of Fine Arts. He now tours internationally as a solo pianist – both jazz and classics – and as a band leader, having developed a style which is very much his own. In 2002 he won two Latin GRAMMY® Awards – for co-production, with bassist Charlie Haden, for their Nocturne album (released by Verve), and the Gonzalo Rubalcaba Trio won the GRAMMY® for Jazz Album of the Year for their album Supernova (released by Blue Note Records). His 15 GRAMMY® nominations include five for Jazz Album of the Year. 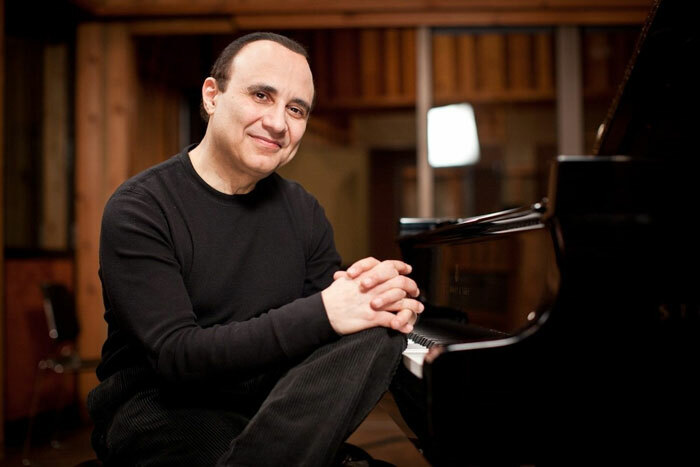 Pianist, composer, bandleader and producer Michel Camilo is said by Jazz Review to be “one of kind when it comes to piano jazz explorations, and his unique playing style is all his own”. With a doctorate from Berklee, he is known for his brilliant technique, his artistry and virtuosity, spanning jazz, classical, popular and world music. At the age of 16 he became a member of the National Symphony Orchestra of the Dominican Republic, and made his debut as a conductor of the Orchestra in a recital in 1987, the year in which he became musical director of the Heineken Jazz Festival, a post he held through 1992. He won a Latin GRAMMY® in 2000 for his album Spain (released on the Verve label), and a 2004 GRAMMY ® in the Best Latin Jazz Album category for Live at the Blue Note. The tribute to Ernesto Lecuona by Chucho Valdés, Gonzalo Rubalcaba and Michel Camilo opens to packed houses at SFJAZZ this evening, and runs until May 28. For more information and tickets visit the SFJAZZ website. Austrian conductor Manfred Honeck makes his debut with the San Francisco Symphony this week, in a program of two works – by Shostakovich and Tchaikovsky. The Shostakovich Suite on Verses of Michelangelo Buonarroti, Opus 145 – with baritone Matthias Goerne – is a first for the Symphony, and it’s followed by a work which must surely rate as one of the most magnificent interpretations in the Symphony’s repertoire – Tchaikovsky’s Symphony No 5 in E minor, Opus 64. Maestro Honeck has been Music Director of the Pittsburgh Symphony Orchestra since the 2008-09 season, a collaboration that is lauded both at home and internationally. Conductor and Orchestra regularly perform in major international capitals and festivals, such as the BBC Proms, Musikfest Berlin, Lucerne Festival, Rheingau Musik Festival, Beethovenfest Bonn, Grafenegg Festival, and at Carnegie Hall and Lincoln Center. They also have a close relationship with the Musikverein in Vienna. As a guest conductor, Honeck has appeared with some of the world’s leading orchestras – in London, Europe and in the United States, and he is a regular guest at the Verbier Festival. His operatic guest appearances include those with Semperoper Dresden, Komische Oper Berlin, Théâtre de la Monnaie in Brussels, Royal Opera of Copenhagen, the White Nights Festival in St Petersburg and the Salzburg Festival. Between January and June this year, German baritone Matthias Goerne will have made 60 appearances at some of the most prestigious concert venues and opera houses in Europe, Asia and the United States. No wonder that he’s regarded as one of the most versatile and sought-after artists of his genre. Highlights of his engagements this year include his role debut as Wanderer in Wagner’s Siegfried, with the Hong Kong Philharmonic under Jaap van Zweden, Schubert’s song cycles with Norwegian pianist Leif Ove Andsnes in Brussels and Paris, and a tour with Freiburg Baroque Orchestra which took in Göteborg, Berlin, Istanbul, Moscow and Rotterdam, and performances at the Vienna State Opera as Kurwenal in Tristan und Isolde. A six-week US tour included appearances with the Philadelphia Orchestra, Dallas and Chicago symphonies, the Los Angeles Philharmonic, Pittsburgh Symphony, and this appearance with the San Francisco Symphony. 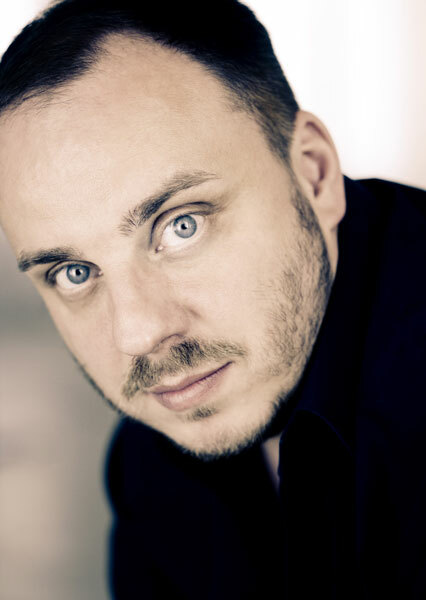 Matthias Goerne’s season also includes a tour with Daniel Harding and the Sächsische Staatskapelle Dresden, and the title role in Alban Berg’s Wozzeck in a new production by South-African artist William Kentridge at the Salzburg Festival. The Shostakovich Suite on Verses of Michelangelo Buonarroti is a musical work based on eleven poems by Michelangelo which trace the life and work of the great Renaissance artist, and which brought to the composer’s mind subjects which he described as “Wisdom, Love, Creation, Death and Immortality” (James M Keller). 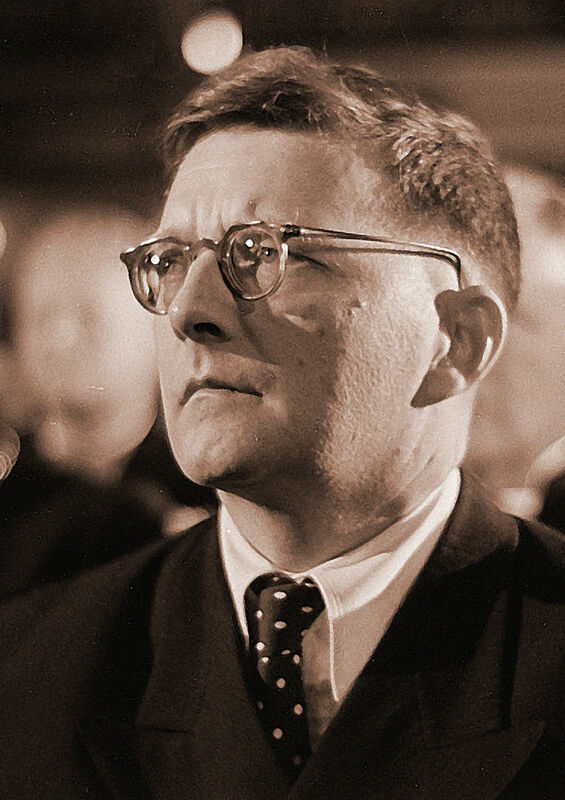 Having spent more than 23 years falling in and out of favor with the Soviet authorities, Dmitri Shostakovich waited until well after Stalin’s death before he either wrote or published a number of works – some of which he’d kept hidden in a desk drawer – which he wouldn’t have risked writing or publishing until he felt it safe to do so. One of these later compositions was the Verses of Michelangelo which Shostakovich wrote in 1974, towards the end of his life. They were taken from a volume of poems given to him by a friend, and translated into Russian by Avram Efros. Despite the popularity of Tchaikovsky’s Fifth Symphony today, the composer himself was said to have had both positive and negative feelings about it, although by the time he’d finished the Symphony, he seemed to have come round to the view that it had, after all, “turned out well”. Although the critics at its first two performances were hostile, from the point of view of the audience Tchaikovsky need not have worried. The Symphony was met with great enthusiasm, and the composer – according to biographer Anthony Holden – “was given the rare honour of a triple fanfare from the orchestra, and presented onstage with a scroll admitting him to honorary membership of the St Petersburg Philharmonic Society.” It takes its place among his finest works – as history has proved. 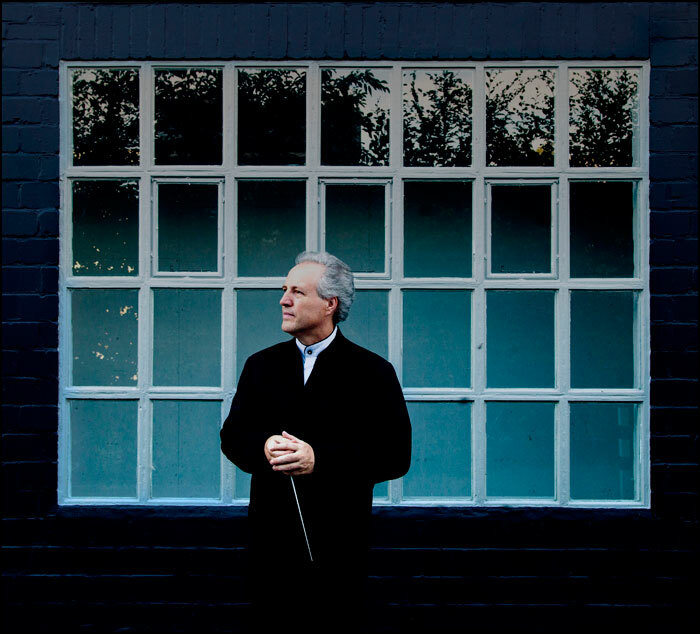 Manfred Honeck leads the San Francisco Symphony in works by Shostakovich – with baritone Matthias Goerne – and by Tchaikovsky, at Davies Symphony Hall from May 25 to 27. For more details and for tickets, visit the San Francisco Symphony website. As another San Francisco Ballet season draws to a close, it’s a good time to turn the spotlight on the magnificent SF Ballet Orchestra, led by music director Martin West, which plays such a vital role in the success of the Company’s performances. Now celebrating its 40th anniversary, this Grammy Award-winning ensemble, under West’s direction, has recently released a delightful album of music by Moritz Moszkowski (1854 -1925), entitled From Foreign Lands. It’s been produced by Reference Recordings. A German of Polish descent, Moszkowski was a pianist, composer and conductor. Following his 1873 debut as a pianist in Berlin, he rapidly became known as a brilliant virtuoso, as well as an accomplished interpreter of the Classical and Romantic repertoire. He was also an influential teacher, having joined the staff of the Kullak Conservatory in Berlin when he was only 17, and later moving to Paris, where his pupils included names as illustrious as Gaby Casadesus, Vlado Perlemuter, André Messager and Thomas Beecham. Although he’s known for only a handful of his works for piano, Moskowski also wrote an opera, a full-length ballet, a symphony, a collection of orchestral suites, songs, concertos and chamber music – almost all of which seem to have fallen into oblivion. Among these was a piano concerto, first performed in Berlin in 1875, with which Liszt was so taken that he arranged a special concert in which he and Moszkowski performed it on two pianos. The music on this CD was written between 1876 and 1904, and mostly features first time recordings of some of Moszkowski’s loveliest works. Included are the six dance pieces entitled From Foreign Lands, each of which represents a different country – listed as Russian, German, Spanish, Polish, Italian and Hungarian – as well as Moszkowski’s Spanish Dances, his earliest, and best-known work which he dedicated to his brother Alexander. Originally composed as a four-handed piano work, these five pieces were apparently not based on any known Spanish melodies, but were Moszkowski’s own creations in the style of Spanish music. Both Martin West and the San Francisco Ballet Orchestra have been internationally acclaimed for their artistry. West, who hails from Bolton in England, initially studied math at St Catherine’s College, Cambridge, before changing direction, and continuing his studies, as a cellist, at the St Petersburg Conservatory of Music, and at the Royal Academy of Music in London. He made his conducting debut with English National Ballet in 1997, and spent three years there as principal conductor from 2004 to 2007, whilst holding the position of music director of the Cambridge Philharmonic Society from 1998 to 2005 – at which point he joined San Francisco Ballet, having guested with the Company for the previous two years. On the guest artist circuit he has worked with companies of the caliber of New York City Ballet, The Royal Ballet, Houston Ballet and National Ballet of Canada, and as an orchestral conductor, Martin West has appeared with the Hallé Orchestra, the Royal Liverpool Philharmonic Orchestra, the Holland Symfonia, Denmark’s Odense Symphony Orchestra and Symphony Silicon Valley, with whom he made his US debut. He has also had a long association with Pimlico Opera in London, taking the art form to thousands of primary school pupils and prisoners. Previous recordings by Martin West and the San Francisco Ballet Orchestra for Reference Recordings include the complete scores of Tchaikovsky’s Nutcracker, excerpts from the Delibes ballets Coppélia and Sylvia, and a world premiere recording of music by Bizet. They have also recorded an album of cello music by Tchaikovsky and Shostakovich, and in addition to this album of music by Moszkowski, other world premiere recordings include music by Shinji Eshima and Kip Winger, and Maury Yeston’s ballet Tom Sawyer. Martin West also conducted the San Francisco Ballet Orchestra on the award-winning DVD of John Neumeier’s The Little Mermaid, and in Helgi Tomasson’s productions of Nutcracker for PBS, and Romeo and Juliet for Lincoln Center at the Movies in the series Great American Dance. From Foreign Lands is available from Reference Recordings. 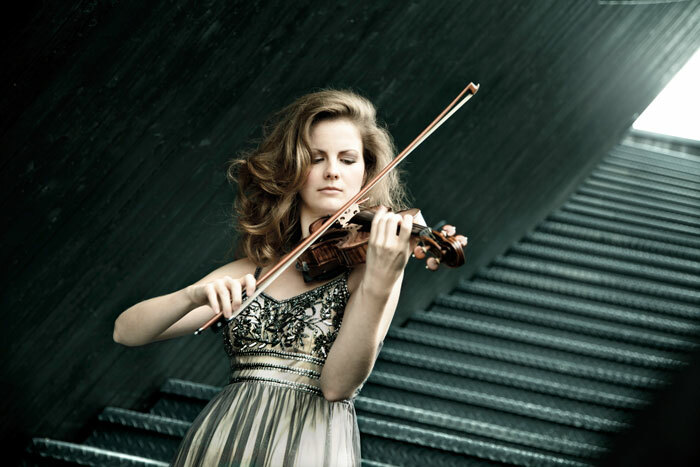 This week’s San Francisco Symphony performances feature two guest artists – Italian conductor Roberto Abbado – Music Director at the Palau de les Arts Reina Sofía in Valencia, and recently named Musical Director of the Verdi Festival of Parma – and German violinist Veronika Eberle – whose 2016-17 highlights include debuts with the Philadelphia and Philharmonia orchestras, return engagements with the Montreal Symphony, Munich Chamber Orchestra and Bavarian Radio Orchestra, and a season-long residency with the Kamerakademie Potsdam. The program features Busoni’s Music from Turandot Suite, the Schumann Violin Concerto in D minor and Mendelssohn’s Symphony No 3, Scottish . The performances take place at Davies Symphony Hall on May 17, 19, 20 and 21. For more information and tickets, visit the San Francisco Symphony website. 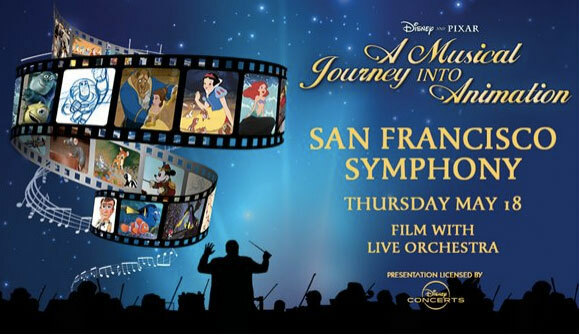 On Thursday, May 18, the San Francisco Symphony invites you to join them on a Musical Journey into Animation, featuring some of the greatest animated films of all time. In a performance which includes much-loved films from Bambi through Toy Story, you can watch clips on the big screen with the Symphony – led by conductor Randall Craig Fleischer – playing the scores live, and get the behind-the-scenes story on how the animation and music come together in films such as these. The two special guests are Don Hahn, producer of The Lion King and Beauty and the Beast, and Pete Docter, Director and Vice President, Creative, at Pixar Animation Studios. More information is available on the San Francisco Symphony website. 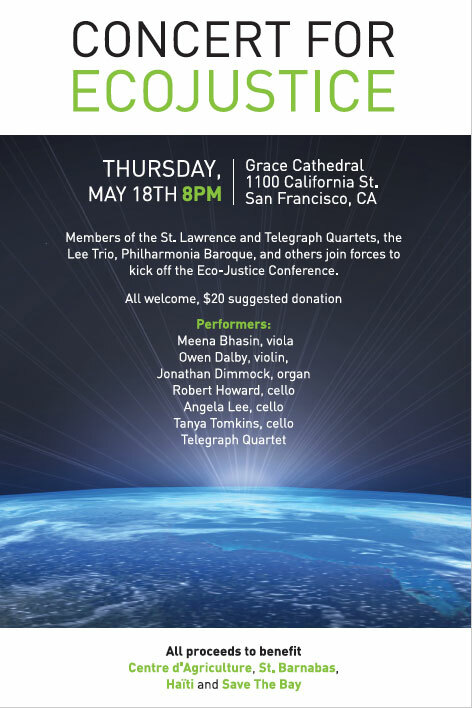 At Grace Cathedral on Thursday evening, there’s a Concert for Ecojustice – which precedes the opening of the EcoJustice Weekend: Safeguarding Climate, Food, and Water, being held in San Francisco on May 19 and 20. The program, which includes works by J S Bach, Aaron Copland, Arvo Pärt and Robert Schumann, will be presented by members of the St Lawrence and Telegraph Quartets, The Lee Trio and Philharmonia Baroque, and David Lewis – Executive Director of Save the Bay – will give a short address and be available to answer questions about the work of the organization, to protect, restore and celebrate our beautiful Bay. The concert takes place at 8.00 pm at Grace Cathedral, 1100 California Street, on Thursday, May 18. Entry is free, but a portion of the suggested $20 donation will benefit Save the Bay. Smuin brings its Dance Series 02 program to San Francisco this week. The final production in the Company’s 2016-17 season, it includes a new ballet by Trey McIntyre – described by by The New York Times as “one of the most important choreographers working today”. Entitled Be Here Now, McIntyre’s work celebrates the 50th anniversary of the ‘Summer of Love’ in San Francisco. There’s another new work as well, The Poetry of Being, by Smuin dancer Nicole Haskins – set to the allegro and adagio of Tchaikovsky’s gorgeous Sextet in D minor, known as Souvenir de Florence – and Choreographer-in-Residence Amy Seiwert’s critically acclaimed Broken Open. 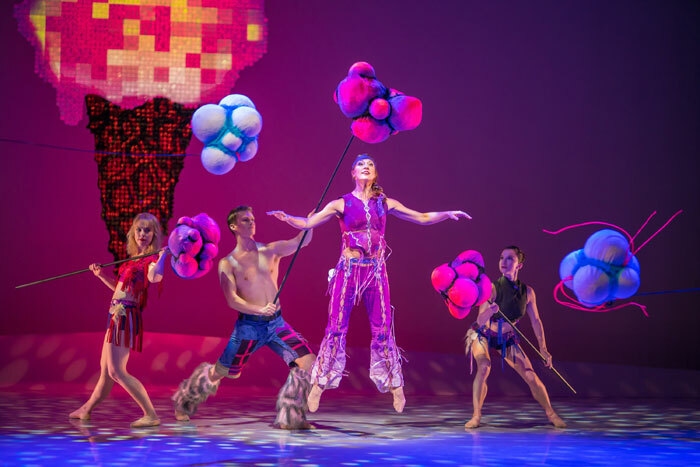 Smuin performs at the Yerba Buena Center for the Arts from May 19 to 28. Further information on the program and tickets can be found on the Smuin website. 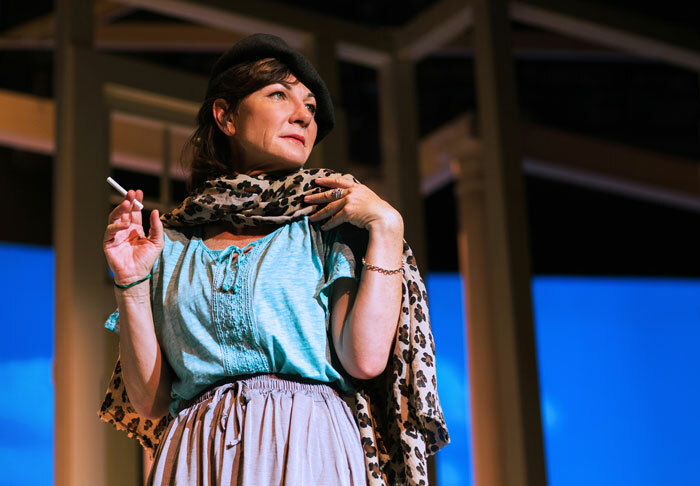 The final performances of Smuin’s Bay Area tour take place in Carmel on June 2 and 3. The Oakland Symphony ends its season with a touch of Broadway this week – a concert presentation of of Frank Loesser’s 1950 Tony Award-winning show, Guys and Dolls – which Music Director Michael Morgan describes as “just plain fun”. 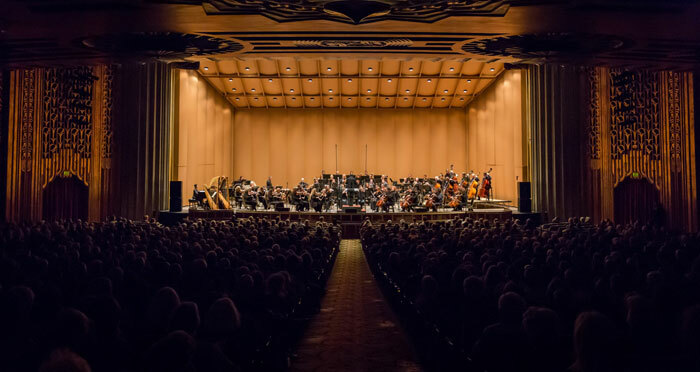 As part of its ongoing American Masterworks series, the Symphony – under the direction of Morgan – will be joined by members of the Oakland Symphony Chorus (Director – Lynne Morrow) and vocalists Ben Jones, Annie Sherman, Tami Dahbura, J Raymond Meyers, Adam Flowers and Blake Cline. Also on the program are Richard Rodgers’ Overture to Oklahoma, and the Waltz from Carousel, as well as Jule Styne’s Overture to Gypsy – all conducted by Brian Nies. Guys and Dolls in Concert is at the Paramount Theatre in Oakland on Friday, May 19. Tickets and further information available on the Symphony’s website www.oaklandsymphony.org. Imagine the sight of over 300 musicians on stage at Davies Symphony Hall. It’s quite a thought, and that’s what the San Francisco Symphony has in store for audiences this week, as Charles Dutoit conducts Berlioz’s magnificent Requiem – the Grande Messe des morts – in a series of performances which opened this evening. 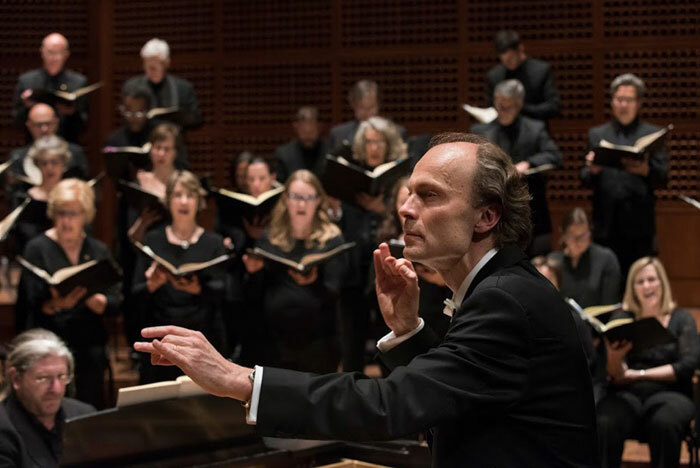 The San Francisco Symphony is joined by tenor Paul Groves, the Young Women’s Choral Projects of San Francisco, directed by Susan McMane, the Golden Gate Men’s Chorus under the direction of Joseph Piazza, and the San Francisco Symphony Chorus, directed by Ragnar Bohlin. This towering work by Berlioz, written in 1837, quite evidently held a special place in his heart, for – in a letter to his friend Humbert Ferrand – he wrote: “If I were threatened with the destruction of all my works but one, I should beg mercy for the Requiem” (James M Keller, SF Symphony program annotator). Berlioz didn’t seem to suffer from writer’s block – or the composer’s equivalent – either, judging by his description of the process: “My head seemed ready to burst with the pressure of my seething thoughts. No sooner was one piece sketched than another presented itself. Finding it impossible to write fast enough, I adopted a sort of shorthand, which helped me greatly, especially in the Lacrymosa”. Maestro Dutoit has long been a welcome guest in San Francisco. He made his debut at Davies Symphony Hall with the Montreal Symphony in 1981, and returned four years later to make the first of many appearances with the San Francisco Symphony. As part of the Symphony’s Great Performers Series, Charles Dutoit led the Pittsburgh Symphony, the Orchestre National de France, and the Philadelphia Orchestra. Currently Artistic Director and Principal Conductor of London’s Royal Philharmonic Orchestra, Maestro Dutoit is also Conductor Laureate of the Philadelphia Orchestra, with whom he has been associated for the past thirty years, as chief conductor, and music director of the Orchestra’s series at the Mann Music Center and the Saratoga Performing Arts Center. He was music director of the Orchestre National de France, and has also served as principal conductor and music director of the NHK Symphony Orchestra in Tokyo, of which he is now Music Director Emeritus. 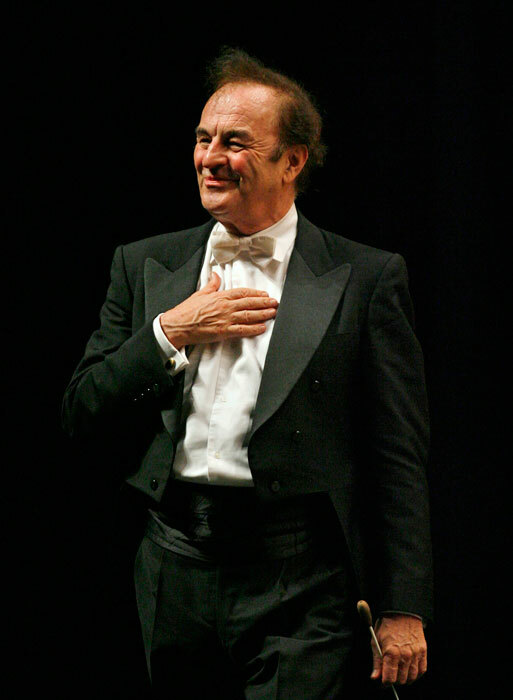 The name of Charles Dutoit will forever be linked with the Montreal Symphony Orchestra, which rose to international fame during his twenty-five year tenure as artistic director. With a keen interest in mentoring young musicians, Charles Dutoit has served as music director of the Sapporo Pacific Music Festival and Miyazaki International Music Festival in Japan, as well as the Canton International Summer Music Academy in Guangzhou. In 2009, he became Music Director of the Verbier Festival Orchestra, considered one of the best training orchestras in the world. 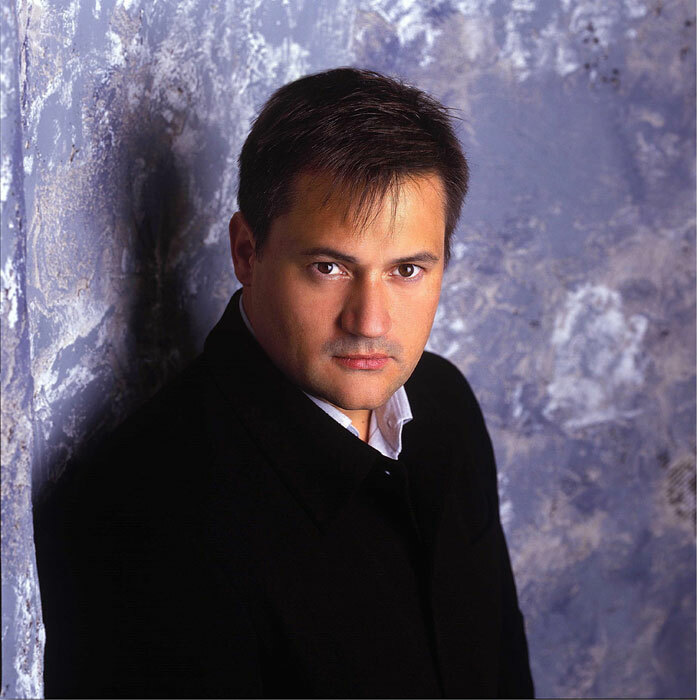 Paul Groves, guest soloist in these performances of the Berlioz Requiem, made his debut in this work with Charles Dutoit and the New York Philharmonic, in 2003. A winner of the Metropolitan Opera’s National Council Auditions in 1991, and a graduate of the Met Opera’s Young Artists Development Program, he made his debut with the Company in 1992 as the Steuermann in Wagner’s Der fliegende Holländer, and has since sung roles at the Met which include Camille de Rosillon in The Merry Widow, opposite Placido Domingo and Frederica von Stade; Ferrando in Cosi fan tutte; Tom Rakewell in The Rake’s Progress; Lysander in Britten’s A Midsummer Night’s Dream; Belmonte in Die Entführung aus dem Serail; and Don Ottavio in nationally-televised performances of Don Giovanni opposite Bryn Terfel and Renee Fleming. Mr Groves’ current season opened with a role debut – as Alessandro Cesare in Cavalli’s Eliogabalo – with the Opéra national de Paris. He has returned to his native New Orleans to sing the title role in Faust with the New Orleans Opera, appeared in Mahler’s Das Lied von der Erde with the Cleveland Orchestra and the Indianapolis Symphony, and Stravinsky’s Perséphone with the Oregon Symphony. Ragnar Bohlin, director of the San Francisco Symphony Chorus since 2007, is regarded as one of the world’s leading choral conductors. He has led the Chorus in works such as J S Bach’s Christmas Oratorio and B minor Mass, Handel’s Messiah, Faure’s Requiem, and Orff’s Carmina burana, and has had his work recognized with three Grammy Awards – for Mahler’s Symphony No 8 with Michael Tilson Thomas and the San Francisco Symphony. Mr Bohlin is the founding Artistic Director of the professional chamber choir Cappella SF, and currently teaches at the San Francisco Conservatory of Music. The widely acclaimed San Francisco Symphony Chorus has received Grammy awards – for Best Performance of a Choral Work – for Orff’s Carmina burana, Brahms’s German Requiem, and Mahler’s Symphony No 8 – and Best Classical Album – for a collection of Stravinsky’s music including Perséphone, The Firebird, and Le Sacre du printemps – and also for Mahler’s Symphonies Nos 3 and 8. The Young Women’s Choral Projects of San Francisco, founded by Artistic and Executive Director Susan McMane, has performed on the San Francisco Opera stage with Jake Heggie and Frederica von Stade; at Cal Performances with the Kronos Quartet and the Philharmonia Orchestra of London; and has toured both nationally and internationally. In 2014, YWC won the American Prize in Choral Performance and the Dale Warland Singers Commission Award from Chorus America and American Composers Forum. Joseph Piazza was appointed Music Director of the Golden Gate Men’s Chorus in 2010, since when the chorus has appeared at international and state choral festivals, released recordings of newly commissioned works, partnered with community arts organizations, and performed throughout the San Francisco Bay Area. Charles Dutoit leads two more performances of the Berlioz Requiem at Davies Symphony Hall – on May 5 and 6. For more information, and for tickets, visit the San Francisco Symphony website.